O Captain, my Captain. Our fearful trip is done. The Avengers have weathered every big bad, the prize we sought is won. 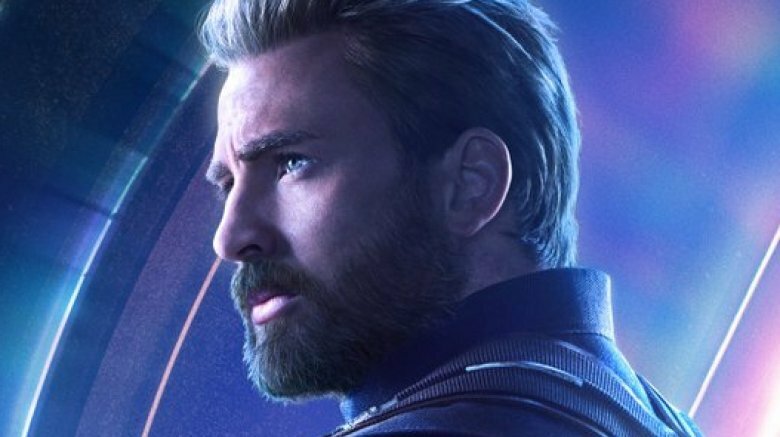 Captain America actor Chris Evans wrote a heartfelt message to mark the end of filming on Avengers 4, and it has people across the world dabbing their teary eyes and trying to get rid of the lumps in their throats. "Officially wrapped on Avengers 4. It was an emotional day to say the least. Playing this role over the last 8 years has been an honor," Evans shared in a tweet that has amassed over 289,000 likes and 73,000 shares as of this writing. "To everyone in front of the camera, behind the camera, and in the audience, thank you for the memories! Eternally grateful." Marvel fans responded to Evans' post in several ways. Some simply told the actor they'll miss seeing him on the silver screen, while others asked who gave him the right to make them cry by writing his farewell note. Many thanked him for everything he has done as Steve Rogers in the Marvel Cinematic Universe. It was basically one big weepy mess in Evans' Twitter mentions, and understandably so. Those who didn't have tears streaming down their faces, however, wondered aloud whether Evans' message spoils Avengers 4, since the actor's phrasing makes it sound like the Star-Spangled Avenger might bite the bullet in the upcoming movie. Neither Marvel Studios, Avengers 4 directors Joe and Anthony Russo, nor Evans himself has addressed Captain America's fate in Avengers 4 — and really, why would they? — but the prospect of Evans turning in his shield shouldn't come as a surprise. Evans — who first appeared as Captain America in Captain America: The First Avenger and later starred in The Avengers, Captain America: The Winter Soldier, Avengers: Age of Ultron, Captain America: Civil War, and Avengers: Infinity War – has repeatedly discussed his intent to exit the MCU following Avengers 4. Four years ago, long before anyone even knew the confirmed title for Avengers: Infinity War and prior to both Avengers: Age of Ultron and Captain America: Civil War launching in theaters, Evans shared with BuzzFeed that he was "halfway through" his Marvel contract, which has always detailed that the actor won't return after the fourth Avengers. He told the outlet while on the set of Avengers: Age of Ultron that he would miss the films when they were over, referencing the then-unnamed Avengers: Infinity War and the still-untitled Avengers 4. "I'm going to miss these when they're done. I really will. This has been a lot of fun, and they're only getting more fun," Evans said. "Especially because there's a trust in Marvel that you're going to make something good. It would really be lousy to be stuck in a contract knowing that you're making s***. And I just don't feel that way. It's really a blessing that this kind of fell in my lap. Sometimes you don't really feel deserving of it. But I'll take it." Earlier this year, Evans again hinted that he would be exiting the MCU and his post as Captain America after Avengers 4. A New York Times profile from March 2018 quotes Evans as saying, "You want to get off the train before they push you off." Prior to that, Evans told USA Today that he was prepared to move on from Steve Rogers, though closing that chapter of his life would still be difficult. "I'd be lying if I said it wouldn't be hard for me. But the passing of time and the passing of torches is part of the experience. Nothing lasts forever. There's a beauty in that departure, even if it can be sad at times. It's also joyful … I've had a great run," he said. "Superheroes are reinventable entities, like Batman or even James Bond. These movies find new incarnations and new ways to tell the story. I am all for it. However they want to proceed after Avengers 4, it's really up to them. I walk away with no regrets and endlessly thankful." As Evans mentioned, there stands a chance that another actor could take over for Evans in the MCU moving forward, seeing as though several different dudes (including Bucky Barnes and Falcon) have stepped into the red, white, and blue suit. It wouldn't necessarily cushion the blow of Evans' departure, but it would allow for the beloved character to live on. Though everyone knows that all good stories must come to an end and that all great superheroes must eventually step down to let a new generation of vigilantes rise to protect the universe, that knowledge doesn't make it any easier to say goodbye. See Evans take what's expected to be his final turn as Captain America in Avengers 4 on May 3, 2019.